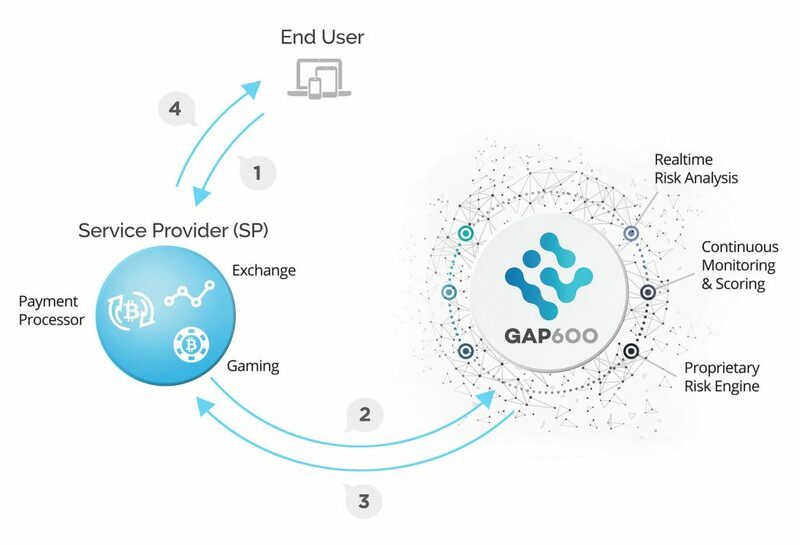 GAP600 enables exchanges, payment service providers (PSPs), and other cryptocurrency-accepting operators and merchants to recognize unconfirmed transactions as final – facilitating instant, risk-mitigated commerce. GAP600 guarantees cryptocurrency transactions before they reach the blockchain. GAP600’s proprietary risk engine analyzes and performs live risk scoring for each transaction as it reaches the mempool. Upon API query – based on Transaction Hash – GAP600 can instantly guarantee transactions against double-spend, expiration or other fraud. This risk-mitigating mechanism adds important value to a range of transactional and commercial environments by reducing the risk involved with supplying goods or services – before network confirmation. The added value to CX delivered by GAP600 far outweighs resource investment for integration. GAP600 reduces transaction times by a median of 28 minutes on 1st block, and enabling a powerful CX experience for purchasers, traders, and players transacting in cryptocurrencies. GAP600 is re-insured by a US-based superior A+ rated insurer, and offers multiple risk level subscriptions to customers. GAP600 has a proven track record of Bitcoin and data science expertise. To date, the company has successfully cleared more than 2.5 million Bitcoin transactions, amounting to more than $750M in market value. GAP600 also offers a number of specific business services geared toward payment processors and exchanges.